Oregon doesn’t have to try hard: it has one of the hippest cities on the planet, snow-tipped volcanoes, a phenomenal coastline and more breweries per capita than any other US state. Portland (aka ‘Beervana’) practically invented hip and might as well have invented beer too. While other cities are just cottoning on to this microbrewery malarkey, Portland has been blending wheaty concoctions since the 1980s. With more breweries than any other city on Earth, plus tasting rooms, brew ‘n’ view cinemas and cracking beer festivals, you’re never likely to be without a hoppy ale in hand. But don’t forget about Portland’s awesome live music scene, 600-plus food trucks and its saucy side – The Heathman Hotel was the setting for some, ahem, energetic episodes in Fifty Shades of Grey. 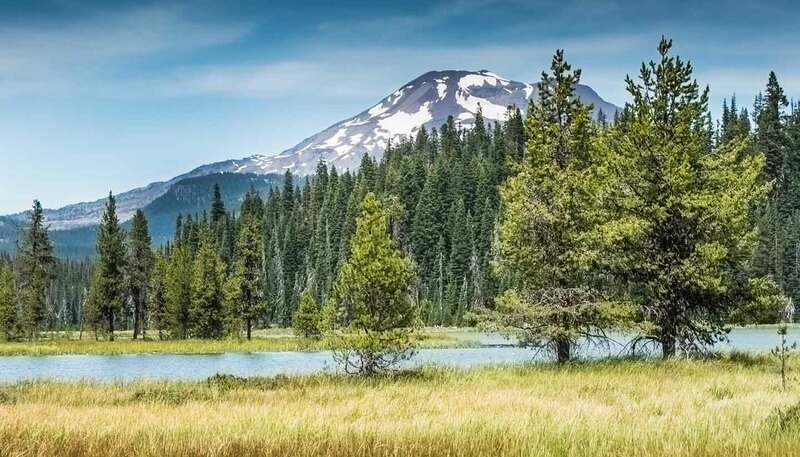 Drag yourself away from the bar to discover Oregon’s extraordinary scenery. Wild Pacific beaches stretch along 584km (363 miles) of coastline, where you can scramble over grass-flecked dunes, poke around rockpools teeming with sea stars, spot puffins perched on sea stacks, or listen out for barking sea lions. In winter, migrating grey whales journey down the coast on their way to Baja California. Head inland and take a road trip along the Historic Columbia River Highway, kite-surf at Hood River, tuck into homemade apple pie, sip the region’s stellar wine, or ride Mt Hood, home to the only year-round skiing on the continent. If there's time, continue south through the Cascade Mountains and hike to the water’s edge at Crater Lake, the deepest in the USA. East of the Cascades, snap an unforgettable sunset at the Painted Hills, named for their kaleidoscopic layers of reds, ochres and blacks. And then try leaving Oregon – it’s hard to do. 251,555 sq km (97,126 sq miles).